It only happens once a year, but people from all over flock to Gulf Shores to celebrate Mardi Gras. There are beads, masks, costumes, and parades galore. Many people think of New Orleans as the birthplace of Mardi Gras but French settlers organized the first Mardi Gras celebration in Mobile, and there have been Gulf Shores Mardi Gras parades and celebrations for all ages to carry on the festivities for dozens of years. Ready to celebrate? We’ve compiled a list of the best Gulf Shores Mardi Gras parades and events happening in 2019! 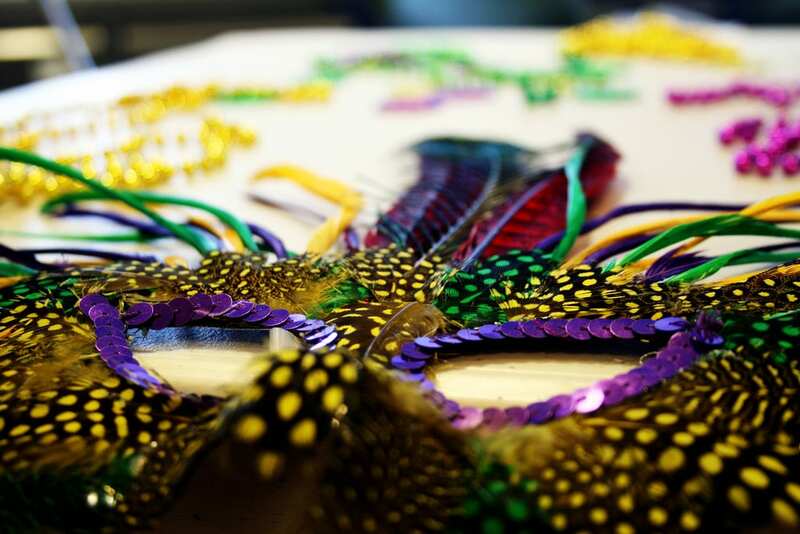 Dress in your best purple, gold, and green for Lulu’s annual Birds of Paradise Mardi Gras Ball in Gulf Shores! The evening will be jam-packed with excitement and fun for all including live music by the Tin Tops, a buffet, and an open bar. Attire for this Mardi Gras celebration is Island Elegance. Tickets are $75 per person. Call (251) 967-5858 for tickets and more information. Find your best masquerade mask and head to Perdido Beach Boulevard in Orange Beach for this Mardi Gras parade! Floats of all shapes, sizes, and colors will roll along Orange Beach, flaunting their Mardi Gras best. Local organizations are welcome to participate. The parade will make its way down Perdido Beach Boulevard starting at 6:30 pm. Be sure to grab your spot before the festivities begin! Every year since 2001, the Mystics of Pleasure have held a Mardi Gras parade along Orange Beach. The difference from all other Mardi Gras parades? Marshals of this parade ride motorcycles, not horses. Still, the eclectic theming and colors of the floats are sure to excite all ages. The parade will travel along Perdido Beach Boulevard, starting at Phoenix West and ending at Highway 161. Get there early to find your spot. For the 41st year, the City of Gulf Shores will be celebrating Mardi Gras with their famous Gulf Shores Mardi Gras Parade! The first parade made its way through Gulf Shores in 1978 and continues to wow and excite all ages with craftily detailed floats, colorful cars, and exuberant passer-bys tossing beads into the crowd. The Gulf Shores Mardi Gras Parade will begin at 10 a.m. on Fat Tuesday (March 5). A Gulf Shores Mardi Gras parade on the water? Check. Live music? Check. Complimentary cake? Check! 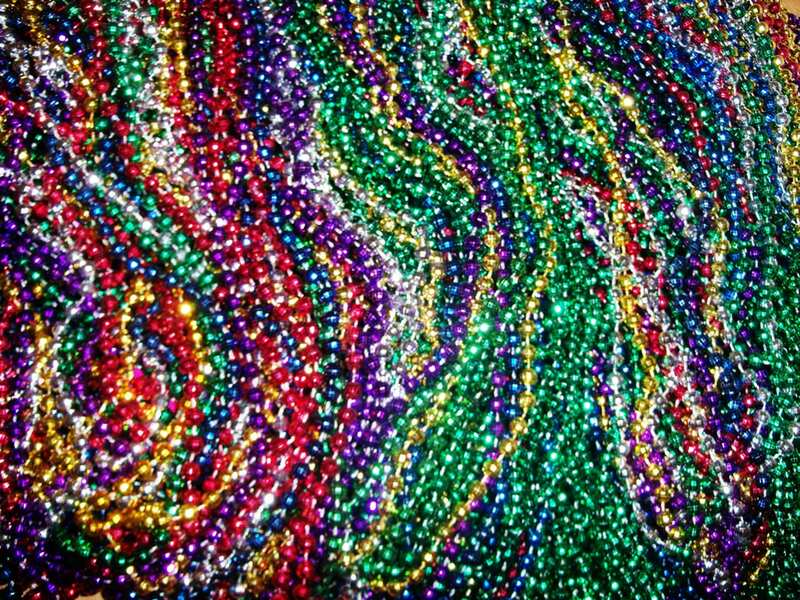 This Fat Tuesday, you’ll want to be at Lulu’s for a complete day of bead-tossing, king cake eating fun. The boat parade will depart at 3 p.m. from The Wharf towards Lulu’s and Homeport Marina. The music starts at 11 a.m. with guests dressed in costumes and good ole’ green, gold, and purple. The fun continues after the boat parade at 5 p.m. at Lulu’s with live music, delicious food, and much more! For more details, call (251) 967-5858. Head east to Orange Beach on Fat Tuesday for the Annual Orange Beach Mardi Gras Parade! Nearly 30,000 people have stood along Perdido Beach Boulevard in years past to watch dozens of vibrant floats, costumed participants, flag twirlers, and more march down the two-mile stretch to enjoy this centuries-old celebration! The parade begins at 2 p.m., starting east of Phoenix West and ending at Highway 161 in Orange Beach. Check out our blog for travel tips, news, and things to do in Gulf Shores and along the Alabama Gulf Coast!